The newest addition to the Performance Advantage Company line high quality tool mounting products is the Ram Base Pocket (PAC P/N 1022). The Ram Base Pocket is a versatile and durable locating and support base. The Ram Base Pocket has two unique mounting surfaces. One side provides stepped 3” and 4” round locating pockets for hydraulic rams, posts, struts and other large diameter equipment. An opposite side provides two stepped pockets for locating 2” and 3” square tubing or equipment. Many other shapes and sizes of heavy equipment can also be located and supported in a vertical orientation. The Ram Base Pocket is made from high strength Hytrel, a stable non-conductive, chemical resistant material which can withstand the repeated loading and unloading of sharp edged equipment like heavy rams and struts without damage. The shallow profile of the Ram Base Pocket requires only a small lift to place the equipment inside. 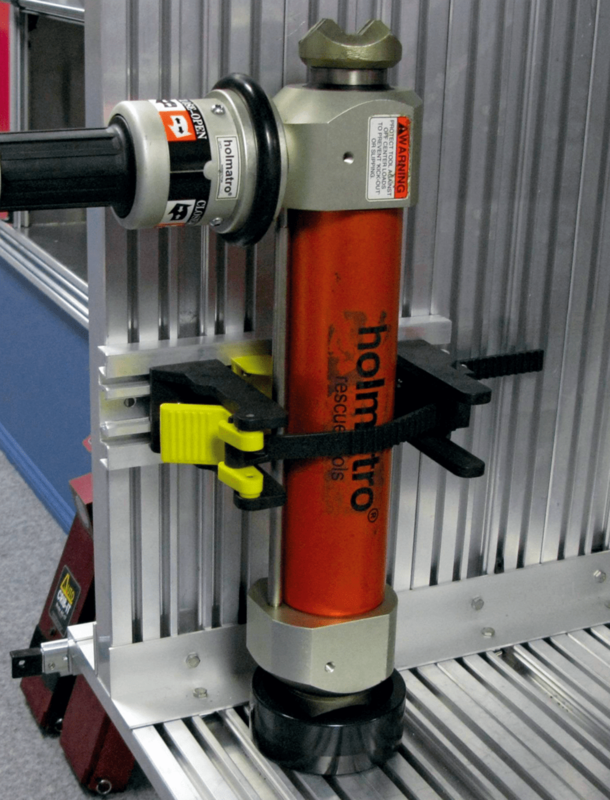 Heavy tools can be easily placed and stabilized while they are secured using additional locking brackets such as the PAC Jumbo Lok, Fast Lok, or Adjustamount products. With the included hardware, the Ram Base Pocket can be mounted to any flat, stable, uniform surface and is compatible with PAC Trac aluminum extrusion products. Like all of PAC’s tool mounting products, the Ram Base Pocket is designed for years of performance under just about any conditions. To meet these demands, PAC uses only the very best in contemporary composite materials to insure that their customers can depend on the level of product performance PAC has been known for, for over 20 years. Like all PAC products, the Ram Base Pocket comes with the standard PAC Lifetime Warranty, to insure years of service.